"The facilities were great and it was well organised"
The 2019 Launceston Tournament will be held on Friday 20th, Saturday 21st and Sunday the 22nd of September. Most games are held at the large Churchill Park complex in Launceston, with parks only minutes away having been used for overflow games in the past. 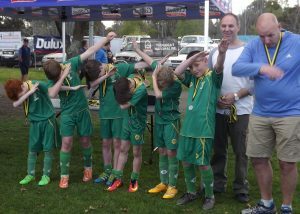 The tournament is organised by the Northern Tasmanian Junior Soccer Association and sanctioned by Football Tasmania. 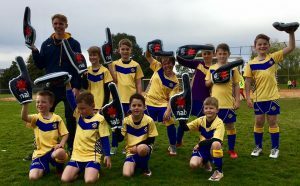 The Launceston Tournament, almost 30 years strong, is the largest youth football tournament in Tasmania and has welcomed many interstate teams in the past. The tournament serves boys and girls aged 9 to 16. Games are held on the Friday evening/night and all day Saturday and Sunday. Any team whose players are registered with Football Federation Australia is eligible to participate whether they be club, association or even school based. Grouping of teams into divisions will depend on the number of teams entered in that particular age group. The tournament is held purely for the enjoyment and advancement of the children who participate. Everyone involved is expected to follow the codes of conduct of Football Federation Australia. 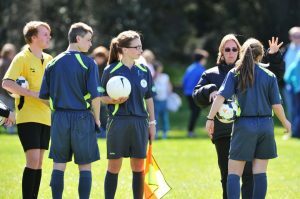 Rules are adapted from the current FIFA and MiniRoos rules and accredited referees are appointed to all games. The NTJSA is happy to assist teams with any queries about Launceston. Team marquees are acceptable if arranged.